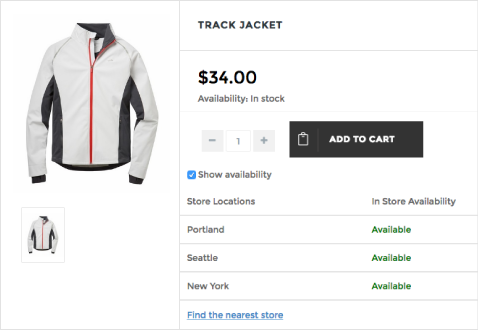 Better serve customers by creating a single view of inventory across your online and physical store locations. WooCommerce, BigCommerce & Magento Videos Coming soon! Track inventory across store locations. As items are sold and received, stock is automatically updated in your online and physical stores to help you better serve customers no matter how-and-where they shop. Let customers see what items are available at nearby stores. Improve sales by giving customers the choice to pick-up items at a nearby store or have items shipped to their home. *Available for Lightspeed, Revel, Quickbooks POS and Magento. Let customers buy online and pick-up items at a nearby store. 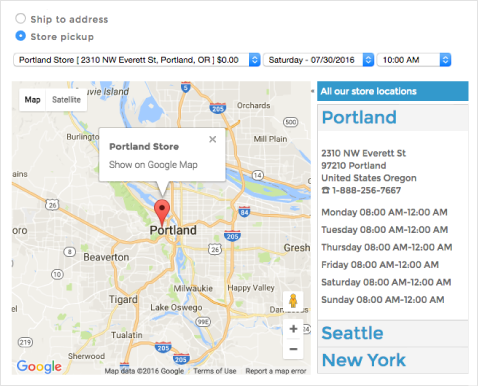 Instead of waiting for items to ship, customers can simply pick-up items at the store location they choose. Automatically send order details from your online stores, eBay and Amazon accounts to the physical stores and warehouses you would like to fulfill orders from. Stock levels can be set to automatically update for each item when orders are created or fulfilled. Connect one-or-more physical stores and warehouses to as many online stores, eBay and Amazon accounts as you need, and connect all your channels using a single eSync account.